There’s nothing quite like watching the major cities all over the world light up with fireworks as midnight hits each one on the 31st December. 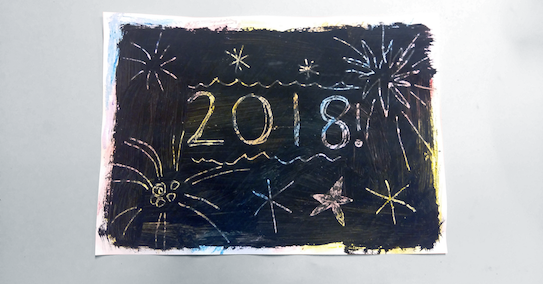 To build up a bit of excitement this New Year’s Eve, you can make your very own arty firework display at home with just a few craft materials. If you’ve got some paper, crayons and black paint, you’re good to go. The activity itself is very easy and pretty addictive, meaning you can create a lot of varied pieces of art. Painting over glorious colouring that took a lot of hard work is initially a bit disparaging, so remind your kids that the outcome will definitely be worth it. Also try to not spend too much time on the colouring itself, because a lot of it will disappear. Just make sure the paper is fully covered and nice and waxy. The more waxy, the easier the paint will scratch off at the end. Ready to create your colourful firework display? Let’s do this. 1 Colour your paper all over with the crayons, taking care to colour over all the white space. Using the brightest colours will give you the brightest fireworks. 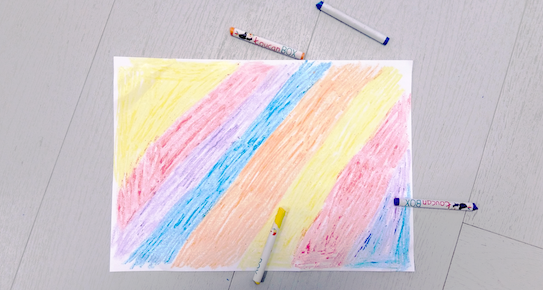 2 Paint over your crayon layer with poster paint and leave to dry. 3 When the paint has dried, use the wrong end of your paintbrush to scratch designs. Press down and draw like you would with a pencil. As you scratch the paint off the colourful wax will appear underneath! You can use simple patterns to create a firework landscape, or add the date of the new year. 2018 here we come! 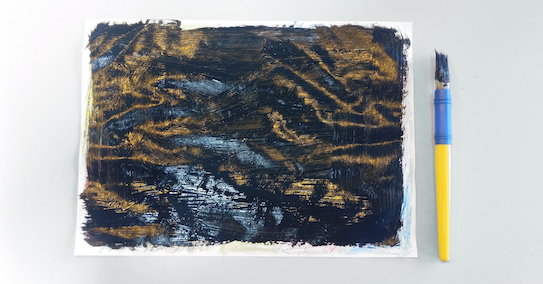 4 Scratch away the top paint layer to make firework patterns.